It’s been awhile friends, but I am back! With pudding. Not the traditional kind though. But mousse au chocolat is on the list. Who knows when that will happen though. I never thought I would like anything considered healthy as a dessert, but I am hooked on this pudding. It’s nothing new but chia seeds are so full of good stuff like omega 3 fatty acid, antioxidants, protein, fiber, calcium…and a whole bunch of other stuff you can find out when you Google. To me healthy usually means that it lacks flavor. My husband has changed his diet for health reasons, and then started hitting the gym and is eating a lot healthier and cleaner, so by default I’m more conscious of what we eat. Despite his desire to be and eat healthily, he’s always had a huge sweet tooth. It’s prime mango and sticky rice season, but he’s avoiding carbs, and I never can finish a dessert by myself, so I had to find a way to satisfy my craving. 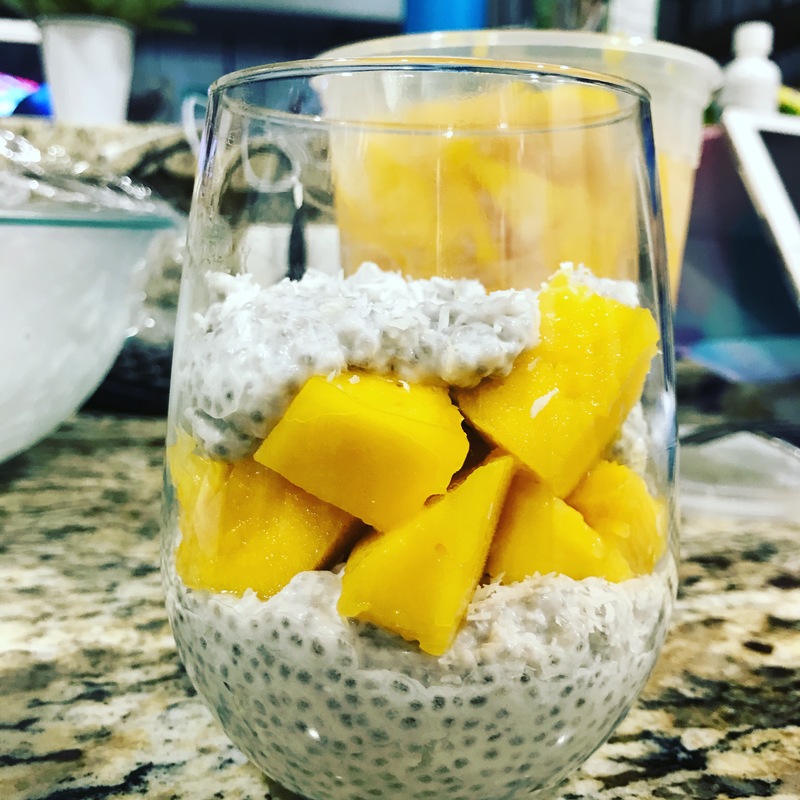 What I wanted was the coconut and mango combination, so I attempted to recreate that flavor profile in a chia seed pudding! What else can I do with this giant bag of chia seeds? 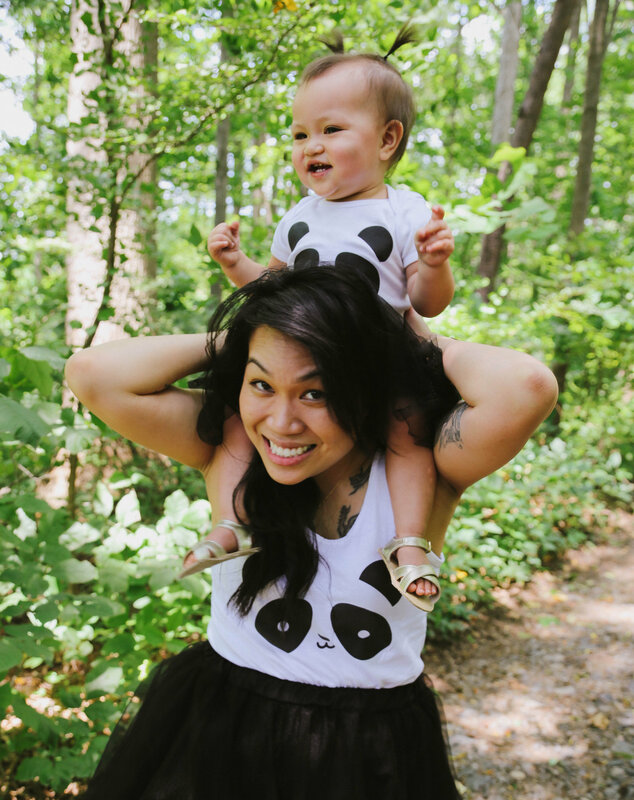 A healthy alternative for when you are craving mango and sticky rice! Whisk together one can of coconut milk and coconut water. Stir in 1/4 cup of shredded coconut, then chia seed until well mixed. Whisk in honey to taste. Let sit uncovered at room temperature for 30 minutes. Stir well. Cover with plastic wrap and refrigerate overnight or at least 3 hours. Serve topped with mango and sprinkle of shredded coconut. Enjoy!